As is in years past the 2019 Mickey's Not So Scary Halloween Party will include Halloween decor full of harvest colors, foggy passages, and haunting light effects. 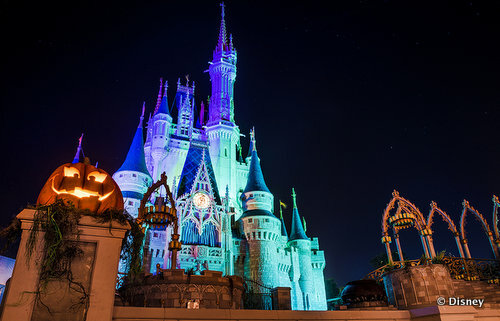 Special entertainment throughout the night features character greetings, dance parties, the Boo-To-You Parade, and Hallowishes Fireworks display as well as all you can carry trick-or-treating. In addition, dozens of popular attractions will thrill guests all night long. It's worth saying that tickets to this special event do sell out, especially for dates closest to Halloween. If you have your heart set on attending during your Disney vacation this fall, be sure to buy your special event tickets as early as possible. Mickey's Not So Scary Halloween Party tickets start at $79. To buy tickets, visit Disneyworld.com or call the Disney Reservation Center at (407) 827-7350.